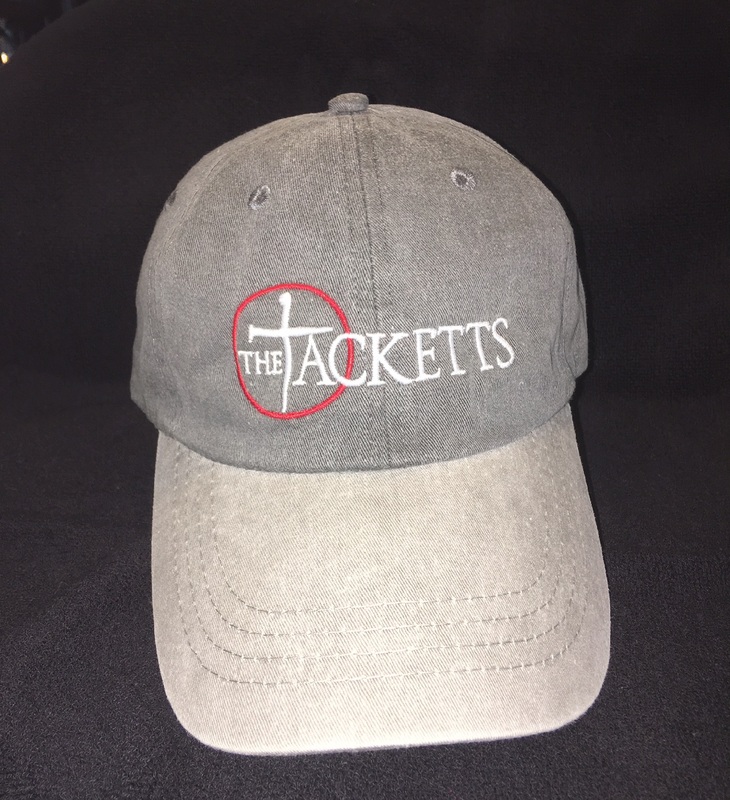 The Official Hat of The Tacketts. Gray denim with adjustable slide buckle strap. One size fits most.